It is hard to imagine a more difficult scenario for the sale of your home than during a divorce. Often, the single largest asset to be divided is the home and agreeing on exactly how that should be done can be an area of considerable conflict. We have worked with numerous divorcing clients and their legal representatives to achieve the best possible outcome during this difficult time. We are San Diego natives, experienced and knowledgeable with the local real estate market. As a Team we are able to provide a level of comfort and confidence that the interests of both spouses are being respected through clear communication and complete confidentiality. 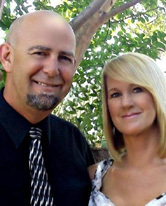 Both Bob and Dawn have personally experienced divorce and the sale of their homes and have a unique understanding on the emotions inherent in divorce sales. Availability. Bob and Dawn are available 7 days a week. Full time, full service professional real estate team that understands the unique dynamics inherent in divorce sales. Expert marketing and negotiating strategies resulting in highest net proceeds. Individual attention to both spouses with complete confidentiality. Expert facilitators skilled in creating a successful sales environment. Comprehensive value opinions including marketing plan and estimated net proceeds. Expert marketing and negotiating strategies resulting in highest obtainable sales price. Clear communication with updates on escrow progress. Coordination with all items, orders and invoices billed to escrow.